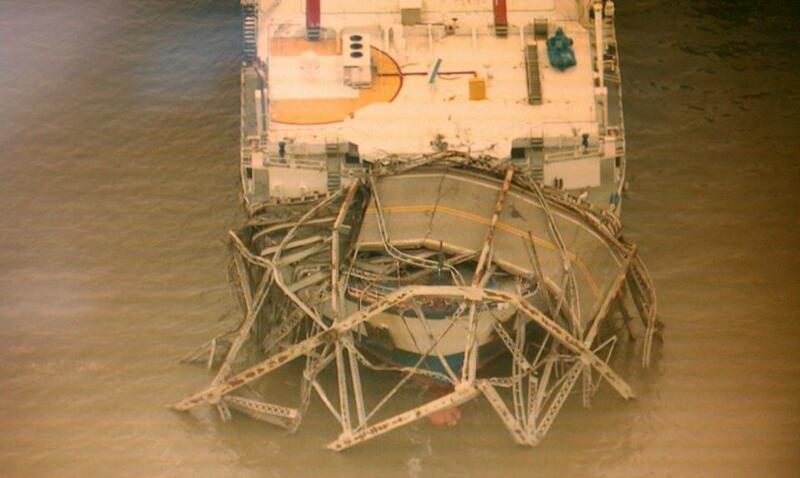 In less than a year we have read about the Defever Trawler sinking on the Tenn-Tom, then the Le Costa Concordia hitting rocks, and now a huge ship the Delta Mariner has ripped a span out of the bridge we cross 2 or more times every weekend on the way to the Katy Leigh at Kenlake Marina. This photo by Brandon Griffith is the first that really tells the story. 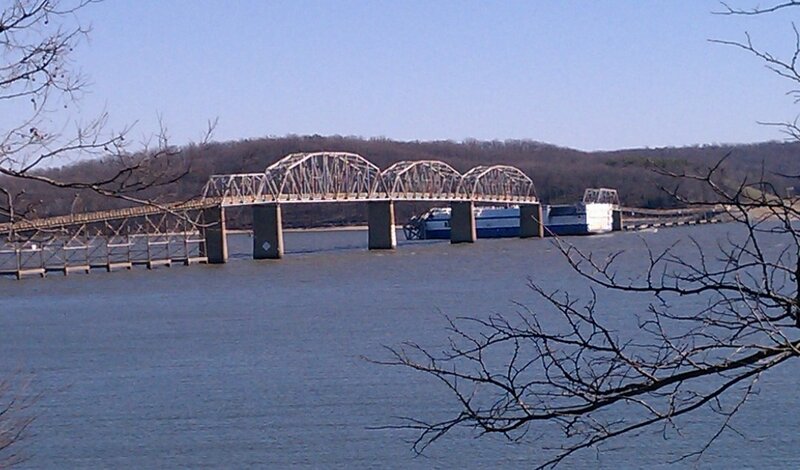 It was taken from Kenlake State Park on the west side of the river. It shows 6 main spans. The second span from the left is the main navigation channel where the Delta Mariner and every other commercial vessel normally passes under. 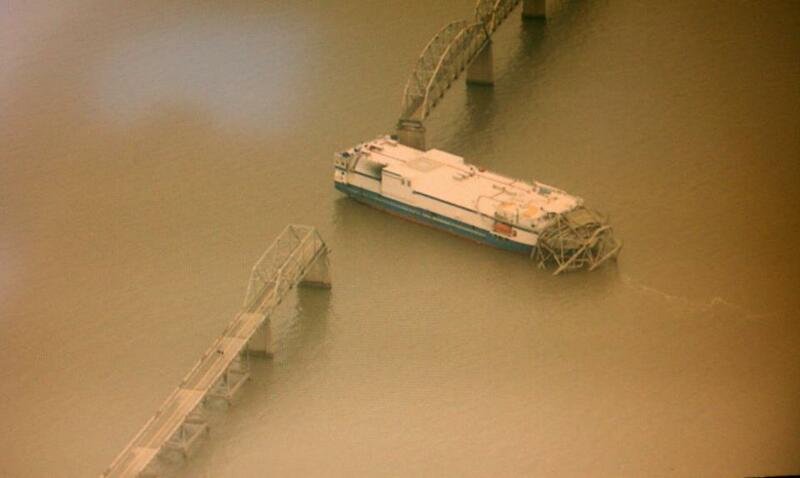 On last Thursday at 8:10PM the Delta Mariner attempted go under the 5th span from the left. You can in this photo that the clearance is less under that span than the main channel span. Even the Katy Leigh with its 22 ft high mast has never gone under that span. We'll have to watch the proceedings over the next few months to learn how that giant ship could have been so far off the proper course.